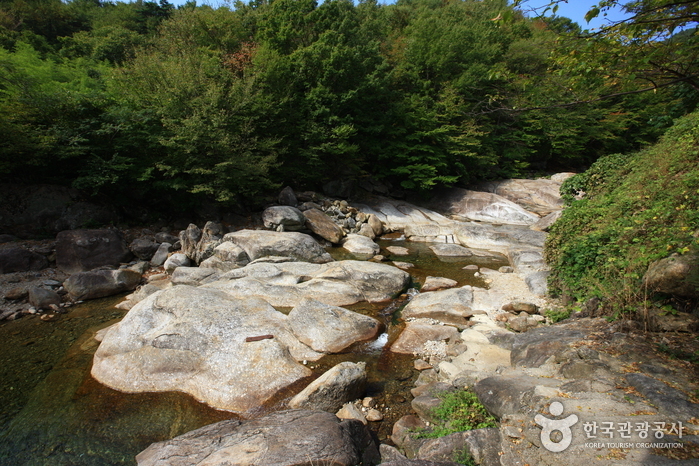 Piagolgyegok Valley is located between Nogodan and Banya peak on Jirisan Mountain. It is named so because in the fall the leaves in the valley turn crimson red. 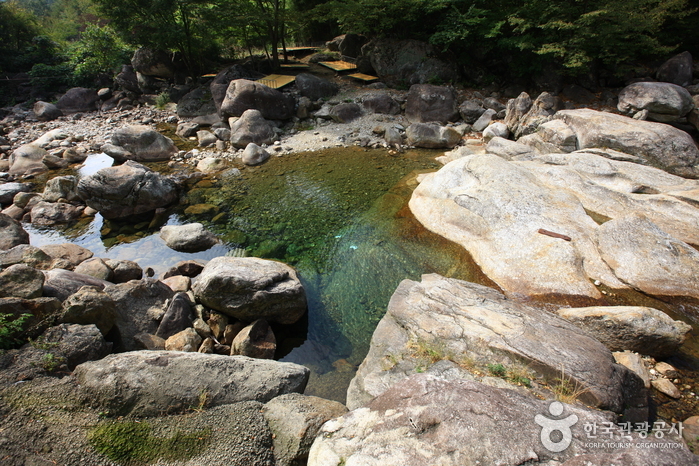 It is also one of the ten most beautiful highlights of Jirisan Mountain. The valley is famous for its fall colors, but it is also a beautiful place to visit all year around. During the spring time, the royal azaleas cover the entire area, and in the summer the lush forest fills the valley. 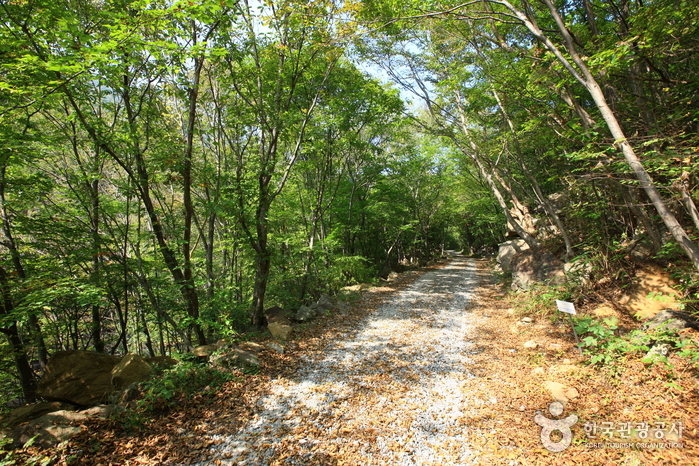 Its autumn leaves are famous enough to be used in promoting tourism in Korea, and during the winter, the snow-covered valley is also a majestic sight to behold. 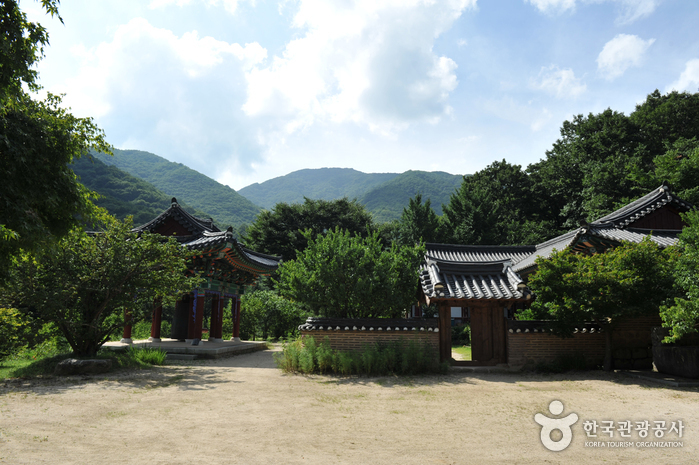 At the entrance to Piagolgyegok Valley, there is the largest temple in Jirisan Mountain, Yeongoksa temple, and other national level cultural treasures are found here. The valley is not steep and should be easy for anyone to reach. 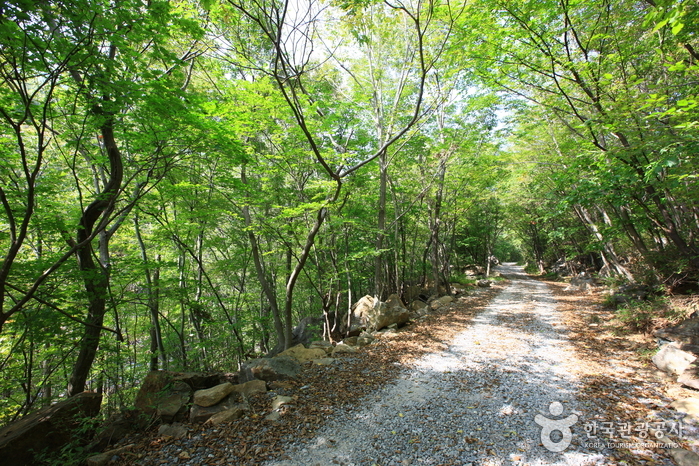 The path from the valley entrance to Samhongso is breathtaking. Samhong refers to three “hong”s (red) – Sanhong (mountain red), Suhong (water red), and Inhong (person red). 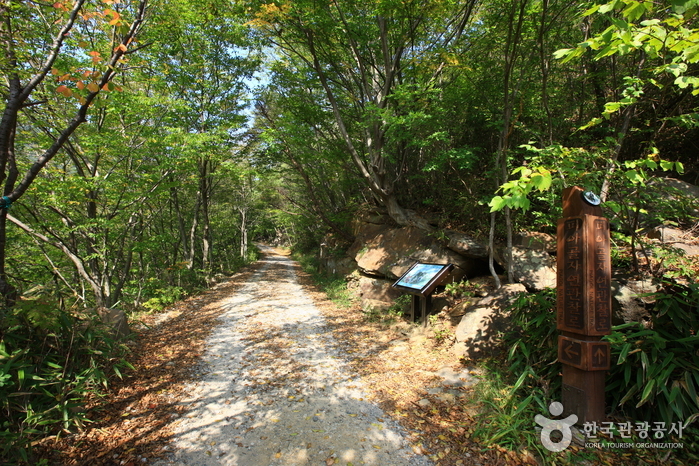 Every year, the Piagol Autumn Leaves Festival is held here, and valley trail walk, local produce sales, and photo exhibitions, among other activities, are promoted during the festival. 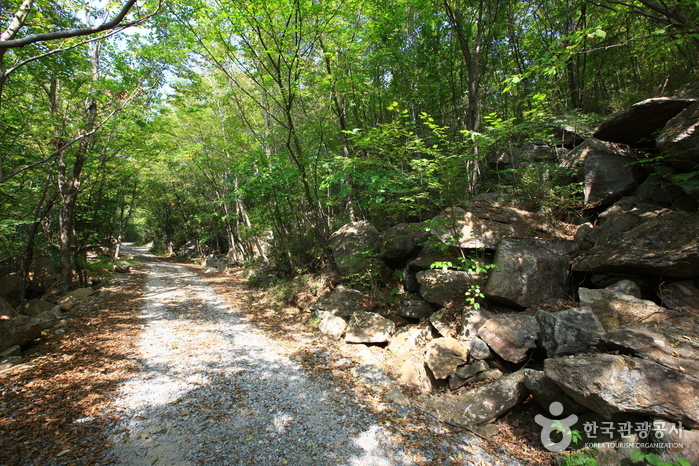 Mountain access is restricted during spring & fall. * Period is subject to change depending on weather conditions. Refer to the homepage before visiting. From Dong Seoul Bus Terminal, take a bus to Gurye. 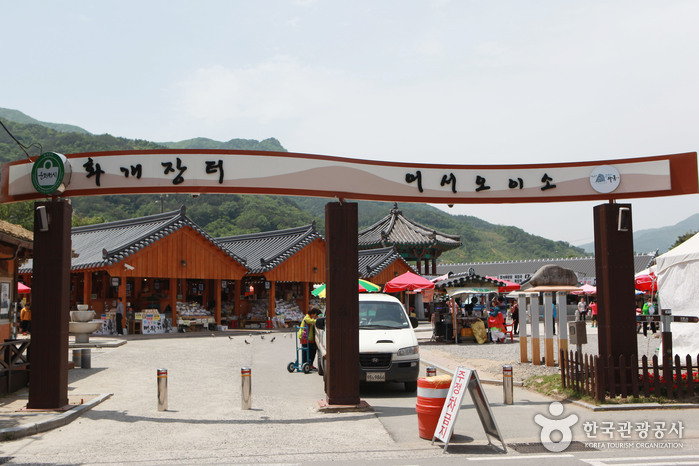 From Gurye Bus Terminal, take a bus bound for Yeongoksa Temple or Piagol Valley and get off at the last stop. From Seoul Station, take a train to Gurye Statio. 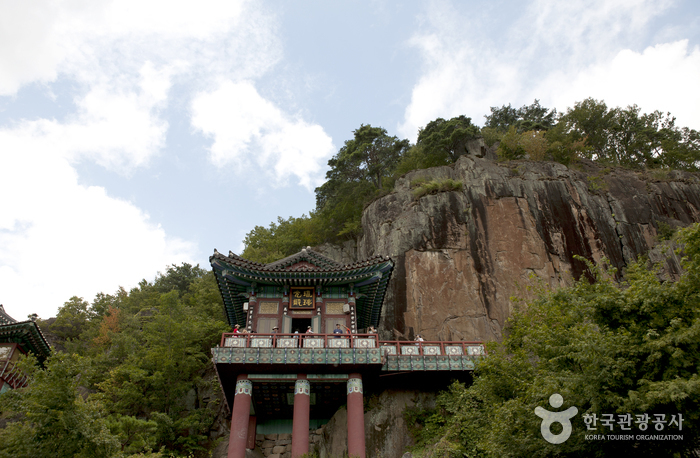 From the station, take a taxi (approximately 40 minutes) to Yeongoksa Temple.